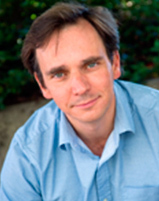 “The 7th edition of the Germán Bernácer Prize has been awarded to Prof. Pierre-Olivier Gourinchas (University of California, Berkley) for his important research on explaining recent (puzzling) facts in global macroeconomics and finance, evaluating the gains of financial integration and analyzing the importance of precautionary saving in optimal life--cycle models of consumption expenditure in the presence of uncertain labour income”. Pierre-Olivier Gourinchas (France) is an Economics Professor at University of California, Berkeley and the Editor-in-chief at the IMF Economic Review. His main research interests are in international macroeconomics and finance. He studied physics and economics at Ecole Polytecnique and in 1996 he obtained his PhD in Economics at Massachusetts Institute of Technology (MIT). In 2012 (jointly with Emmanuel Farhi) received the International Growth Center grant on “External Volatility and Macro Insurance” and in 2011 he got the Center for Equitable Growth, grant on “Consumption Inequality, Income Inequality and Global Imbalances”. In 2008 he received the Prix du Meilleur Jeune Economiste for best French economist under the age of 40. In 2012-2013, he was a member of the French Council of Economic Advisors to the Prime Minister. He has published widely cited papers in leading journals like American Economic Review, Journal of Political Economics, Econometrica, Journal of Monetary Economics, Quarterly Journal of Economics, Review of Economics Studies, etc. The award ceremony took place in Madrid on May 27th, 2008.